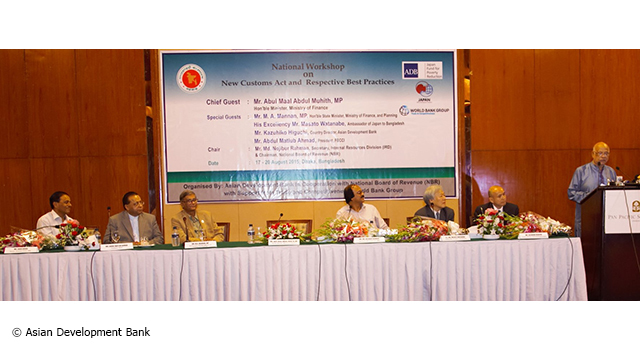 The National Board of Revenue (NBR) of Bangladesh and the Asian Development Bank (ADB) jointly organized a National Workshop on the New Customs Act and Respective Best Practices in Dhaka, Bangladesh on 17-20 August 2015 to familiarize Customs and other border officials with provisions of the Customs Act of 2015, including its processes and requirements, in relation to the existing act. 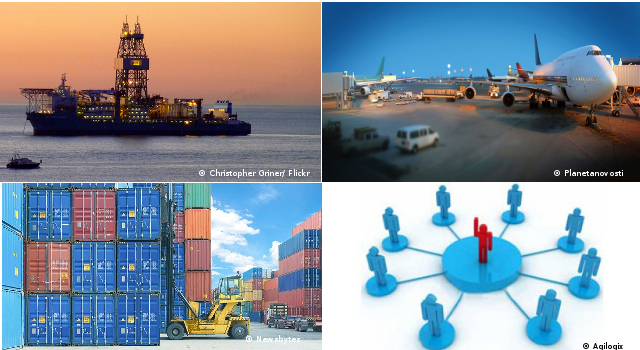 Features of risk management, Customs cooperation practices, and AEO standards and processes. Support and commitment from Government officials toward the implementation of the new Customs Act and achievement of its objectives. The New Customs Act will be submitted to the Parliament in September 2015. 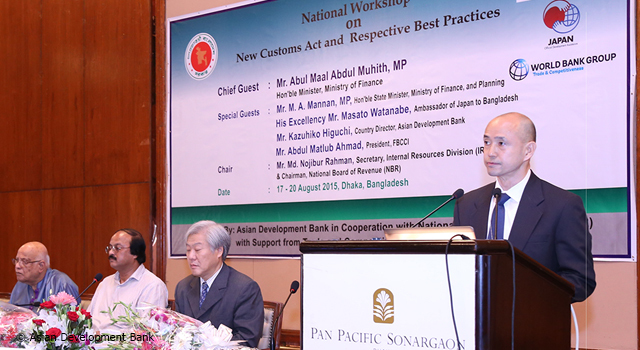 Finance Minister of Bangladesh Abul Maal Abdul Muhith inaugurated the Workshop, which was also attended by Japan Ambassador to Bangladesh Masato Watanabe. ADB Country Director Mr. Kazuhiko Higuchi gave opening remarks. 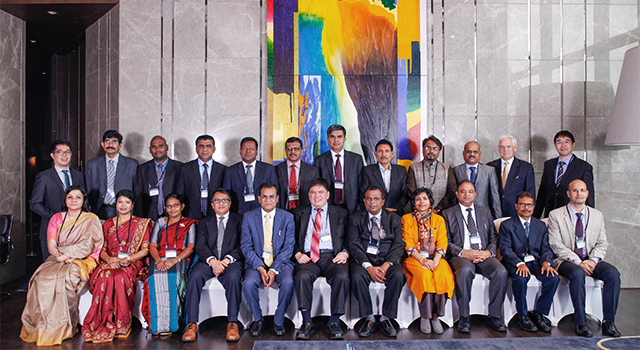 Thirty-five key Customs and border officials from Bangladesh, together with representatives from the private sector participated in the Workshop. 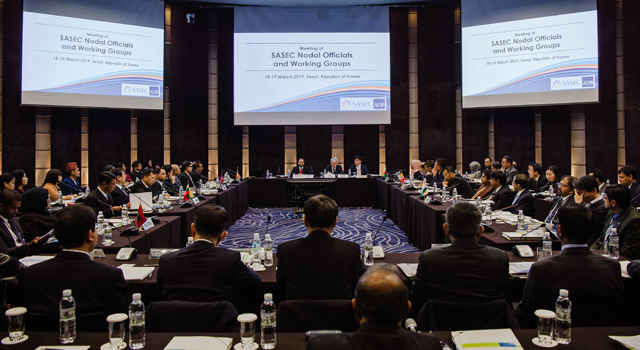 ADB financed the Workshop as part of its technical assistance to Bangladesh,Supporting Bangladesh's Participation in the SASEC Trade Facilitation Program, funded by the Japan Fund for Poverty Reduction. 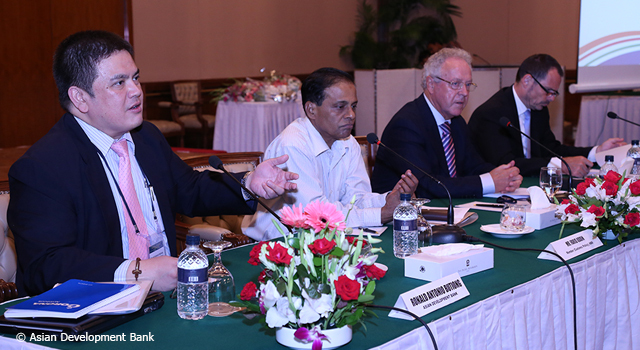 This technical assistance aims to create a modern Customs administration for Bangladesh through improved border clearance mechanisms and facilitation of trade information access for traders, and seeks to better align Bangladesh Customs procedures and practice with internationally accepted standards.